At ABI we love the fact that we build Caravan Holiday Homes in which special family memories are created. 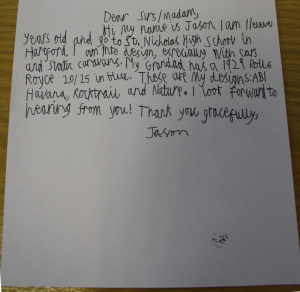 In late 2013, we received a letter from a big fan; Jason, that gave us the chance to create a very special memory in person! 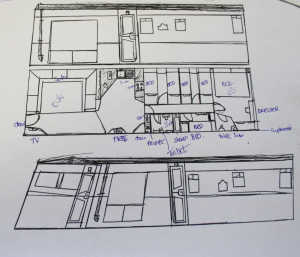 And with his letter, Jason supplied us with floor plans of a caravan of his own design, ‘The ABI Nature’. 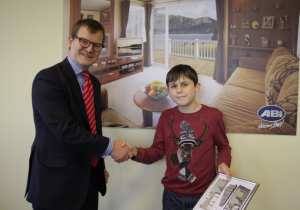 After showing such a keen eye for design at only 11 years old, and expressing such an interest in our product, what could we do but invite Jason in for a look around. On his morning with us, Jason was able to meet our design team. Here, he was delighted to see that our talented design staff had brought his floor plans to life using our 3D graphic design technology. Jason said he had had some experience with the same technology but had to admit, the design team had done an amazing job in showing him the true potential of his ideas. Moving on from the warm office, it was hi-vis jackets on and off to the factory floor. 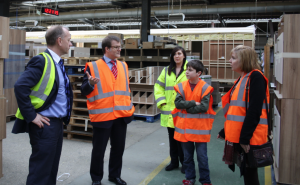 Jason was given a first class tour of our production line where every ABI home is hand made to order by our dedicated and skilled team of workers. 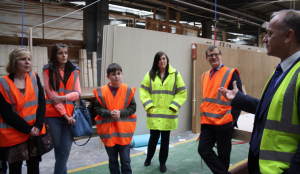 The whole family were then given a very special sneak peak at one of our brand new 2014 homes under construction in the prototype area ahead of its launch at the NEC in Birmingham in February 2014. From start to finish, through the assembly line, Jason (who had more than one perceptive question to ask along the way!) saw an ABI go from its humble beginnings to its impressive end and all of the stages in between where love and care go into every step. After a long morning in the factory, it was back to the boardroom for our guests where Jason was given a framed copy of the 3D image of his ABI design as a special memory of his visit to ABI. You may well be looking at a future designer for ABI! Afterwards Jason said his visit was “definitely one of the best days of my life”.